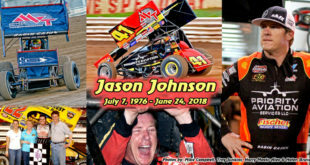 SYRACUSE, NY – Extended and intensive preparation on all fronts has characterized the run up to the forty-third running of Super DIRT Week on the New York State Fairgrounds mile. From car builders to sanctioning bodies, months of planning all come together in the perennial spectacle known as Super DIRT Week. TWO STRAIGHT? : Billy Dunn earned the biggest victory of his career during “Racing’s Biggest Party” when he won last year’s Syracuse 200 for the Super DIRTcar Big-Block Modifieds. Can he become the seventh driver in history to take the $50,000 checkered flag in back to back years? 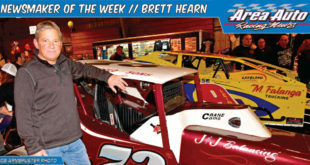 Brett Hearn won last year’s DIRTcar 358-Modified Salute to the Troops 150, and he’ll no doubt be looking to add to his storied win total, the biggest in DIRTcar Modified racing through the years. Likewise for Brad Rouse in the DIRTcar Sportsman and Rob Yetman in the DIRTcar Pro Stocks. NEW CAMPER RECORD? : “The excitement for NAPA Super DIRT Week is at an alltime high,” said DIRTcar’s Jeff Hachmann. 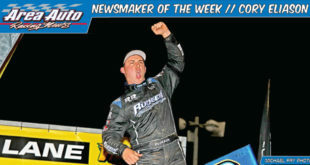 SHEPPARD’S READY: Matt Sheppard’s first season with the Al Heinke and Tommy Baldwin Racing (HBR) team as a teammate of Jimmy Phelps, created one of the Super DIRTcar Series’ most formidable teams. 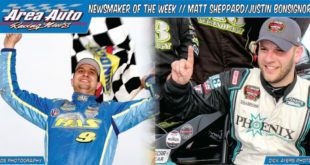 Sheppard, a Big Block Syracuse 200 winner in 2009, has relied on preparation to enhance his chances in the past and will again leave nothing to chance. “It’s pretty much the same story every year up there. You really have to worry about your own program but you do have a bunch of guys that are really fast and capable of winning that race any year. You’ve got to look at guys like Decker, Friesen, Hearn, Jimmy Phelps… there’s just a bunch of guys who go really good up there,” he said. Sheppard feels experience, while valuable, isn’t as important as many portray it. “Every time you go to Syracuse it’s a learning experience, it doesn’t matter how many times you’ve been there. I’m sure guys who have been there 20, 30, 40 times are still learning, as well,” he analyzed. 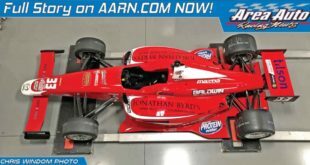 TEO: Bobby Hearn reports that his work load for Syracusespecific orders has consisted four complete cars and over twenty partial jobs, primarily new bodies. All of the work was destined for Syracuse action, not for any of the satellite event speedways. INDY GLORY REVISTED: Al Unser topped Mario Andretti and a field of open-wheel superstars the first time the USAC Silver Crown Series raced at the New York State Fairgrounds “Moody Mile” in 1974. Now, 40 years after that historic event, the USAC Silver Crown Series will return in October 2014 to Syracuse during the 43rd annual NAPA Auto Parts Super DIRT Week. The USAC Silver Crown Series last raced on the Syracuse Mile in 2003 during NAPA Super DIRT Week, with J.J. Yeley taking the checkered flag. PITTMAN’S WHEELS WILL ROLL: The World of Outlaws STP Sprint Car Series take to Rolling Wheels Raceway Park for the Budweiser Salute to the King Outlaw Showdown Oct. 11. 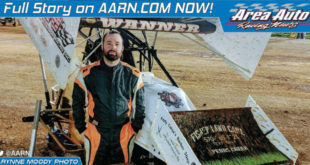 A driver looking to notch a win during the Outlaws’ return to Rolling Wheels is defending series champion Daryn Pittman. The Kasey Kahne Racing driver scored his first win at the track last season. “I’ve always enjoyed going there,” Pittman said. “It’s a tricky place. It’s a fun place to go but challenging. Last year was the first time I ever won there. BIG BLOCKS ON THE MILE: Fifty nine Big Block teams were entered for the Syracuse 200 as of this past weekend. Included were nine previous winners – Brett Hearn who has six wins, Billy Decker with four, Jimmy Horton, Vic Coffey, Danny Johnson and Stewart Friesen with two wins each and Tim Fuller, Kenny Tremont, Matt Sheppard and defending champion each Billly Dunn with a solo. There are just nine entries from eastern Pennsylvaia and central New Jersey – non DIRT boys – who will be making the trek north – Horton, who was once a DIRT stalwart, Mark Forte Jr. who has had limited starts this year Bridgeport regulars Bob Sarkisian and Dominick Buffalino, 2014 New Egypt Speedway Small Block Modified champion Ryan Godown, Bridgeport Speedway 2014 Modified king Rick Laubach. Grandview Speedway ace Duane Howard and Kevin Albert, perennial Syracuse entrant. 358 MODS ON THE MILE: Nearly half the field of forty-one 358 Modified entries will be double dipping at SDW. Twenty are going to post in both races and of those, sixteen are driving cars from the stable in both races. They are David Hebert, Kevin Albert, Jimmy Horton, Brian Swartout, Brett Hearn. Bob McGannon, Vic Coffey, Pat Ward, Stewart Friesen, Billy Dunn, Donnie Corellis, Carey Terrance, Tim Fuller, Billy Decker, LarryWight and Kenny Trenont. Only Ronnie Johnson, Erick Rudolph, Tim McCreadie, and Duane Howard will be driving for different teams in the two races. ONE FOR THE THUMB? 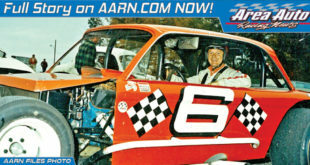 : Billy Decker is a four-time Syracuse 200 winner and a sixtime Small Block 150 winner. Decker is also challenging for his third Super DIRTcar Series season-long championship. Decker discounts any benefit from being part of a three car John Wight owned operation. “I don’t think we’ve taken full advantage of teammates, although we all know what each one of us is doing so if somebody gets rolling on something we can share that knowledge. That being said, I don’t think we have reaped very much benefit from it,” Decker offered. As a four time winner, Decker has savored each of his wins. “There’s something special about winning there,” Decker says. “Each time is satisfying, but it’s really hard to replace that first time. DAVIS & EARNHARDT: In a unique effort, Jimmy Davis and Tom Sanford Racing have secured sponsorship with Tackle Grab Powered By Earnhardt Outdoors for Super DIRT Week. The sponsorship will allow Davis and crew the opportunity to compete at the Syracuse Mile in the Big Block modified division for the first time. 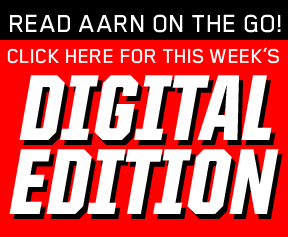 The team will have have T Shirt giveaways, coupons for $10 dollars off a three month subscription for Tackle Grab and a drawing for a free one year subscription to Tackle Grab during the week. This marketing partnership brings together interests of those fans who not only love to fish but enjoy DIRT Modified racing in the Northeast. The Dale Earnhardt, Jr.’s siblings Kerry, Kelley and Dale Jr., along with their families, have created Earnhardt Outdoors™, a lifestyle brand designed to pass the traditions and values obtain from their forefathers to the next generation of outdoor enthusiast.